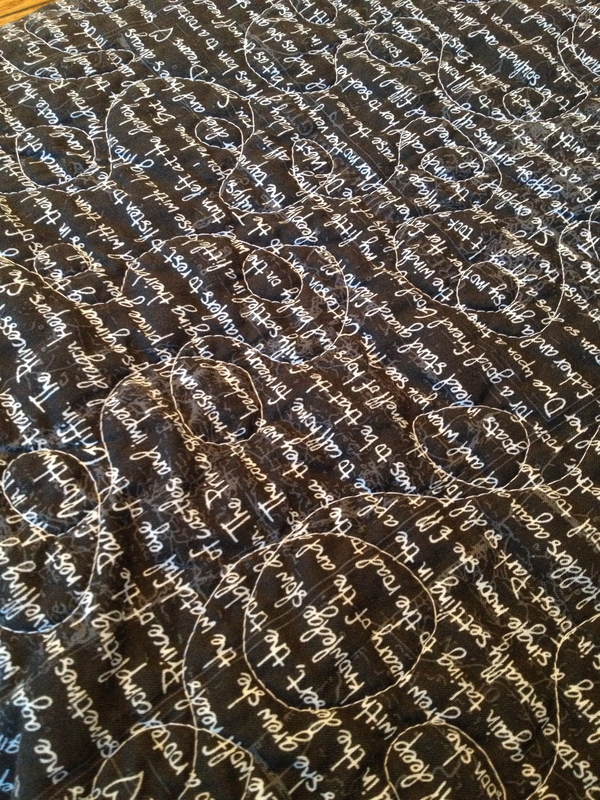 I bought some text fabric from Violet Craft’s Madrona Road line with the intention of saving it for a special project. I had already started a quilt to make for my mother for Christmas, but when she came to visit in October, she fell completely in love with the text. 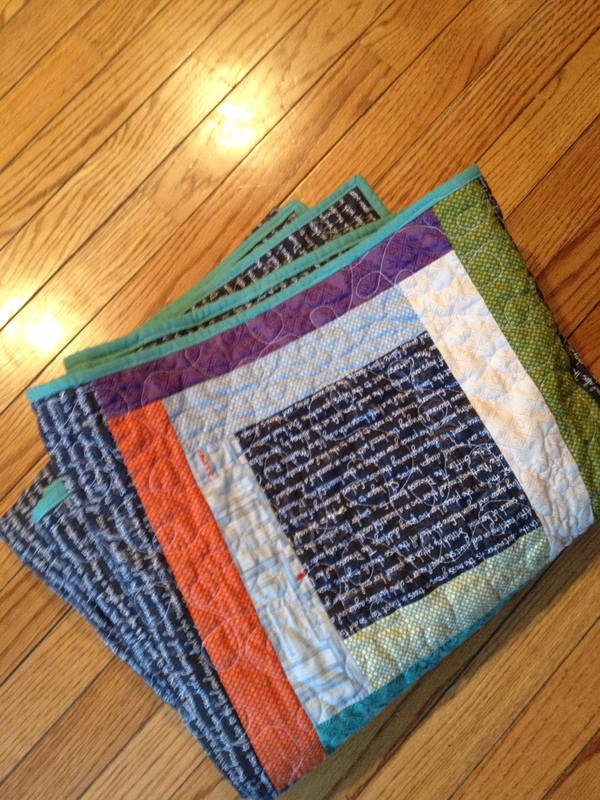 I decided to pair it with a jelly roll of Zen Chic and make log cabin blocks to showcase the text. … and then I thought it could use some more text. 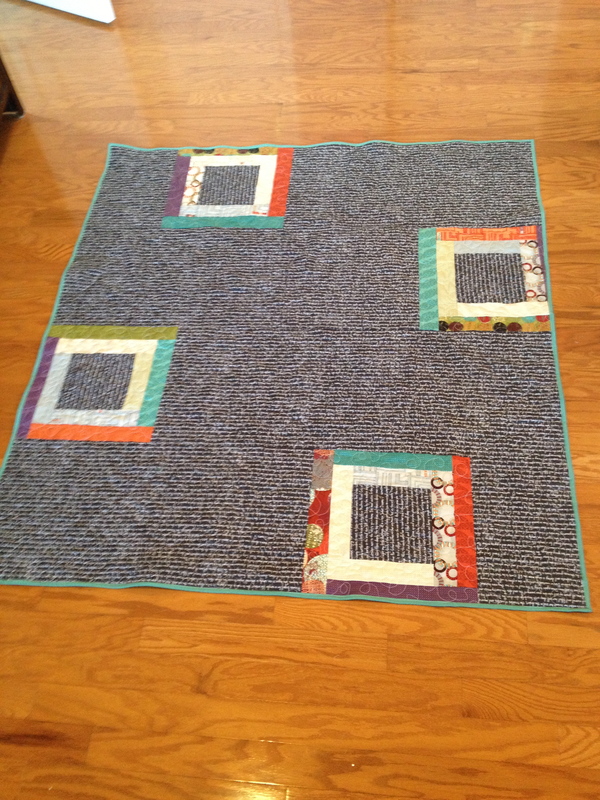 And then I hid some messages in the quilting (though this is just a picture of the stitching). I’m so happy she liked it. I love that it’s a quilt that I can visit after it’s been gifted. So now I’m curious what the quilt I derailed was going to be?? You’ll see… I’m still going to finish it.